This does not look good! In some parts of the world horse is considered a delicacy. Here in the USA it is illegal to slaughter horses for use in food. That looks like it might be changing. On April 8, a subcommittee in the Tennessee House approved a horse slaughter bill 7-6. A week earlier, the Missouri House approved 91-61 bill HR1741. The bill hasn't yet been scheduled for the Senate calendar. 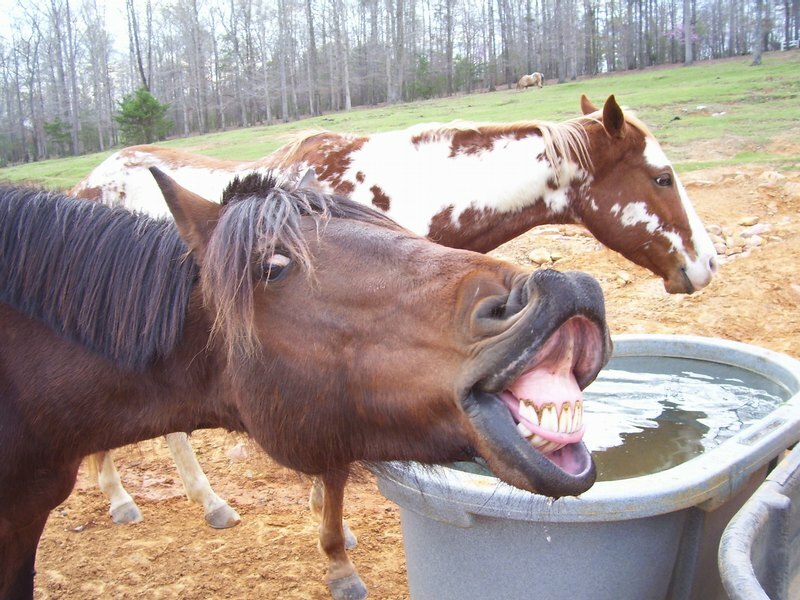 If some people have their way you might have to double check the fast food burger, it could be Mr. Ed in there. Lets hope this does not hit the Senate Floor! Where is the difference between a cute calf and a cute little horse??? There is a big difference a calf is a food animal and medicated as such and a horse is considered a pet/companion animal and so it is medicated with drugs poisonous to humans, read the truth. Sorry here is the part about poison meat. Nonsteroidal anti-inflammatory drugs - prohibited as well Phenylbutazone, known as "bute," is a veterinary drug only label-approved by the Food & Drug Administration for use by veterinarians in dogs and horses. It has been associated with debilitating conditions in humans and it is absolutely not permitted for use in food-producing animals. USDA/FSIS has conducted a special project to for this drug in selected bovine slaughter plants under federal inspection. An earlier pilot project by FSIS found traces less than 3% of the livestock selected for testing, sufficient cause for this special project. There is no tolerance for this drug in food-producing livestock, and they and their by-products are condemned when it is detected. Dairy producers must not use this drug in food-producing livestock and if it is found, those producers will be subject to FDA investigation and possible prosecution. Phenylbutazone (Bute), flunixin meglamine (Banamine), and ketoprofen (Ketofen) are the most common NSAID’s used in horses while aspirin and ibuprofen are the most commonly used NSAID’s in humans. These are very effective in eliminating discomfort and are usually the first line of therapy in minor musculoskeletal pain. The systemic NSAID group includes phenylbutazone (Butazolidin) and flunixin meglumine (Banamine), which are 2 of the most widely prescribed drugs in equine medicine.